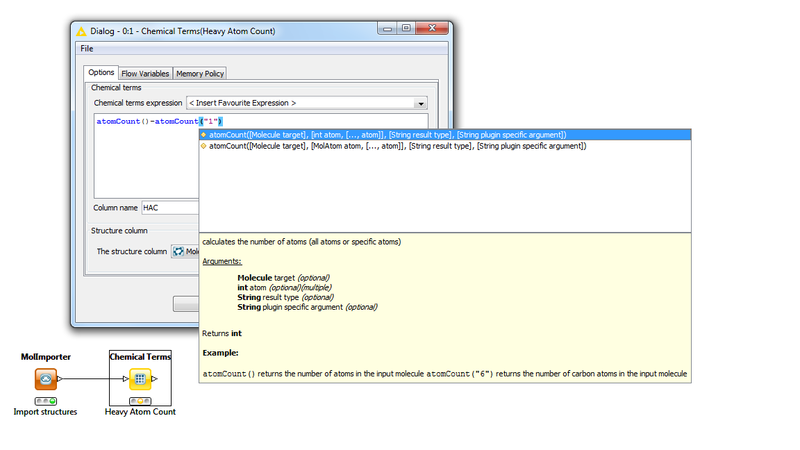 Evaluating Chemical Terms functions can be done via the Chemical Terms KNIME node. This type of node accepts a molecule as an input, and performs the specified calculation on it. The calculation is defined as a Chemical Terms function in the Options window. (Available function names appear as you type the starting letters of it. A brief description of the function also appears.) The result of the calculation is usually passed to an output node.